Hello and welcome to my Hankook Ventus V12 EVO2 K120 review. The high-performance tire category is flooded with cheap and budget models today, so one would certainly ask if they are worth the hustle. I would say that it all depends on what you do with your sports car. 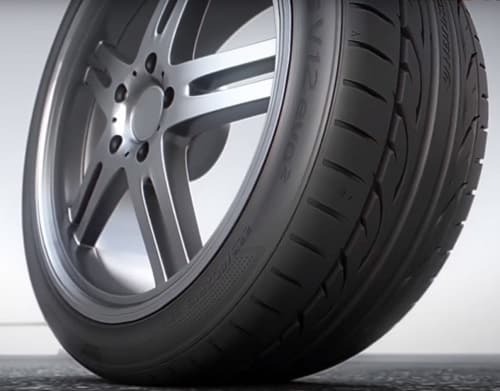 If you want a tire that will provide you with good handling performance on twisty roads, then you might be okay with some budget high-performance tires. But if you want tires for those track days, shelling out few dollars more might be a better thing to do. Hankook is a tire manufacturer that is not often associated with high-performance tires – they’re best-known for their touring and all-season models. However, they do have an ultra-high-performance tire in their lineup – the Ventus V12 Evo2. The name sounds really impressive, suggesting probably that it will be a good fit even for some V12 supercars, but why would anyone put a Hankook on their six digits puppet? I’ll be perfectly honest with you – my experience with the previous model was not very impressive. The Ventus V12 Evo was far behind the competitors from Bridgestone, Michelin, Continental, and Pirelli, especially when driven hard. Compared to that models, it felt like a touring tire. That’s why my expectations for the new Evo2 model are not very high. Will it flop again? Let’s see in my review down below. 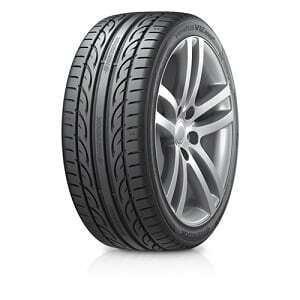 The Hankook Ventus V12 Evo2 is a max-performance summer tire. It is aimed at owners of sports cars, sporty coupes and high-performance sedans and compact cars. According to Hankook, it is designed to deliver impressive traction and handling performance, and also comfort and control in warm conditions, dry or wet. They do tell us however that this tire is not intended to be used in snow driving and that’s a great thing. To deliver on those promises, the Ventus V12 Evo2 is made of a high-grip silica tread compound with innovative functionalized styrene polymer for lower rolling resistance and enhanced fuel economy, without losing grip and traction. This is very interesting – it’s not often that we see ultra-high-performance tires boast about their low-rolling-resistance qualities. Moving on, the directional tread design with notched shoulders and 3D intermediate ribs with continuous center rib promote dry handling and traction. Hankook’s proprietary aqua jet lateral grooves help for better water evacuation and resistance to hydroplaning, while grooves in the intermediate blocks have stealth technology for less noise. One other very important area in an ultra-high-performance tire is stiffness, and to achieve that, it has two wide steel belts reinforced by two plies of spirally wrapped jointless nylon and high stiffness bead fillers. All of them work together so that the tire can resist distortion in high-speed cornering. It will be interesting to see how the Hankook fares here, especially because stiffness was a big concern for me with the previous model. As with the previous model, I have no concerns about the durability of the Ventus V12 Evo2. As with almost every Hankook tire, great attention is put to long tread life and durability. That said, this is a high-performance summer tire, which means that it will degrade more quickly than a touring tire for example. When compared to premium tires in this category though, it sits up there with the best for long-lasting tread compound and performance. When I tested the previous model, I first thought that something wasn’t right – it was far behind the best tires in the class in dry conditions. The Ventus V12 Evo2, however, changes a lot of things and puts itself higher in the standing order in the high-performance class. Handling is much more responsive and precise, and the tires resist distortion much better. The thing is though, when pushed really hard, it still lacks the finesse of the best tires in this category. Despite being improved compared to the previous model, it still can’t hold a candle to the high-performance tires from premium manufacturers. This is especially felt on the track, where the Hankook Ventus V12 Evo2 can be out of its league in some situations. If you don’t drive on the track though, these tires may still be great for you, especially considering the much lower price when compared to the likes of Bridgestone, Michelin, Continental, and Pirelli. While the general feeling about handling precision is the same in wet driving, I must say that I was impressed with how the Ventus V12 Evo2 handled light and heavy rain. It resists hydroplaning very well and combines that treat with a lot of traction and grip. I would have no objection if I was living in an area with a lot of rain only with a set of Ventus V12 Evo2 tires. They are close to outstanding in this area. I’ll be short here – this is a summer tire and it should absolutely not be used in winter conditions – it will simply not work. If you care about your safety, replace them with winter tires as soon as the temperature falls down below warm. The Ventus V12 Evo2 may not be the stiffest tire in the high-performance class, but that has its benefits in other fields, such as comfort. I wouldn’t go as far to say that this is a comfortable tire, but when compared to other sports car tires, it is one of the best. If you want comfortable high-performance tire, there you go – buy the Hankook Ventus V12 Evo2 and save a few bucks. Noise is also very well suppressed for the type of tire this Hankook is – I am very impressed indeed. I am glad that Hankook made a lot of improvements to their flagship high-performance tire. It drives with much more precision now, it’s more responsive and has higher levels of grip in both dry and wet conditions. However, it is still far from the best tires in its class, especially when driven hard. I would recommend it only if you don’t take your vehicle to the track, or don’t drive at the absolute limit with your sports car. Otherwise, you may need a Michelin Pilot Sport 3 or Bridgestone Potenza RE003. Thanks for reading and I hope you found this Hankook Ventus V12 EVO2 K120 review helpful. If you have any questions or comments please feel free to leave them in the comments section below.